Until the next successor is chosen. 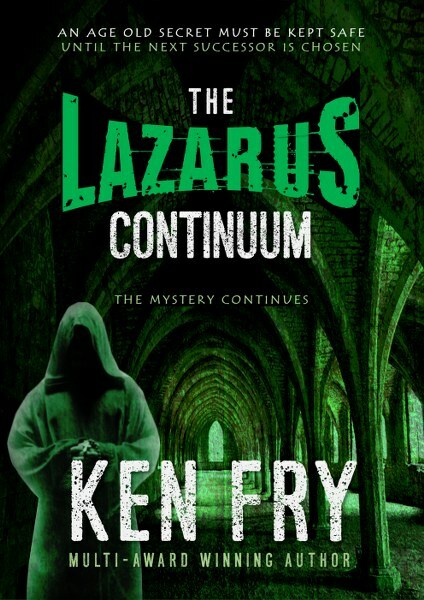 The much awaited sequel to Amazon UK's #1 bestselling Religious Mystery since July 2017, and multi-award winning novel, The Lazarus Succession, is coming very soon. Now available for Pre-Order! It's been seventeen years since Father Baez, formerly Broderick Ladro, entered the monastery to fulfill his legacy, turning his back on all earthly affairs. His strange visions and doubts have steadily increased through the years and he goes on a desert retreat to make sense of it all. Brodie senses that a new artist is being summoned. But who? Martha, Ulla's daughter, the daughter Brodie has never seen or met, is experiencing the same visions. An unknown hand seems determined that father and daughter should meet. Amidst a series of baffling revelations, the action moves across the USA, UK, Spain, Israel and Cyprus. A pastor and an incredibly wealthy Las Vegas casino owner knows the secret and are hell-bent on stealing the miraculous painting for wealth and power. Unless Brodie, his daughter, Martha, and their close friends, succeed in keeping the Lazarus legacy alive and the succession unbroken, the power to heal will fall on evil hands. 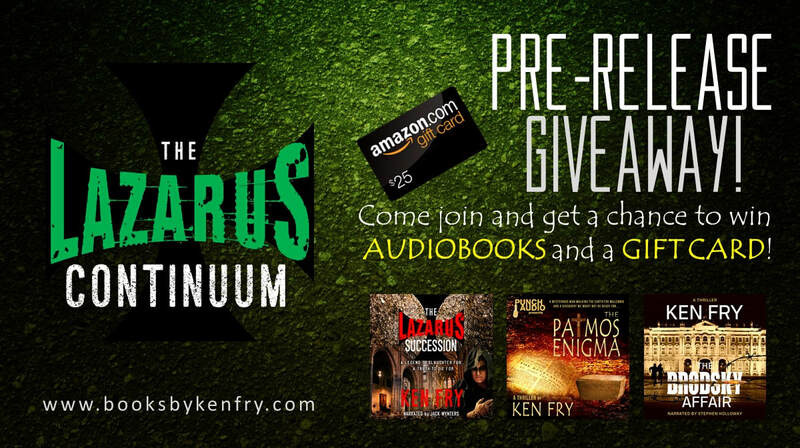 Order early and get a discounted copy of The Lazarus Continuum! Bestselling, and multi-award-winning British author, Ken Fry, holds a university Master's Degree in Literature and has traveled around the world. The places and events are reflected in his stories and most of his tales are based on his own experiences. He has extensive knowledge of the Art world, which he acquired while working as a Publisher in a major UK publishing house -- a wholly owned subsidiary of the HEARST Corp of the USA. In his thirteen years with the company, he worked within the Fine Arts and Antiques division of the organisation and controlled four major international titles. 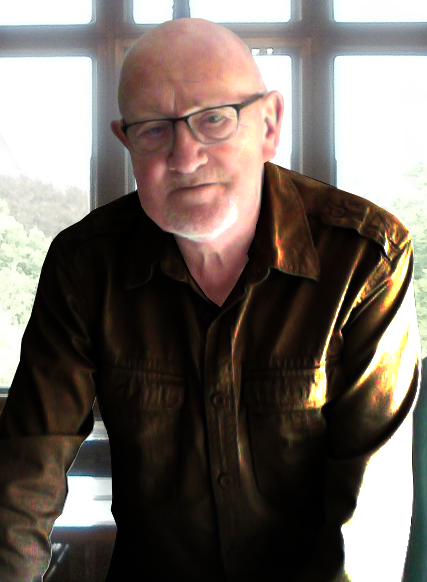 He is now retired and devotes his full time to writing. He lives in the UK and shares his home with 'Dickens' his Shetland Sheepdog. The Patmos Enigma and The Lazarus Succession are Bestsellers in Christian Fantasy, Religious Mystery, Religious Fiction and Biblical Fiction on Amazon UK.